Join Dr. Ed Manansala at the County Fair Kids' Fun Run! 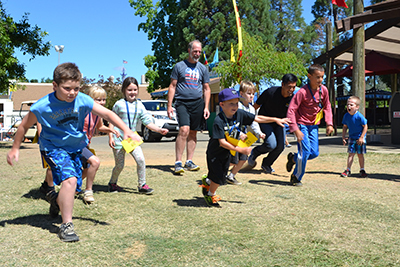 On Thursday, June 14, kids 4-12 years of age may enter the El Dorado County Fair for FREE and are invited to participate in a 1K Fun Walk/Run with County Superintendent of Schools, Dr. Ed Manansala. Runners will receive a participation ribbon and water bottle (first-come-first-served). Beat the rush and pre-register at the Fair Office – 100 Placerville Dr., Placerville. For questions, please call (530) 621-5860.